It works with Window-based and Mac computers. So small and unobtrusive, you can plug it into a USB port and forget about it. Plus, you can say good-bye to worries about lost receivers. 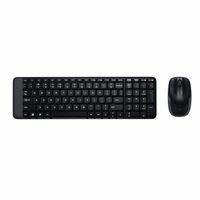 You get the high quality and reliability that have made Logitech the global leader for miceplus a three-year limited hardware warranty. 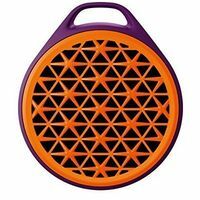 You get the reliability of a cord with wireless convenience and freedomfast data transmission and virtually no delays or dropouts. No software, no hasslesyou simply plug in the tiny nano receiver and start using your mouse right away. Your mouse works with Windows, Mac and Linux. No matter what type of computer you own todayor buy tomorrowyou can depend on your mouse to work like you expect. Plug-and-forget nano receiver It works with Window-based and Mac computers. So small and unobtrusive, you can plug it into a USB port and forget about it. Plus, you can say good-bye to worries about lost receivers. 1-year battery life You can go for a year without battery hassles. The On/Off switch and smart sleep mode help conserve power. 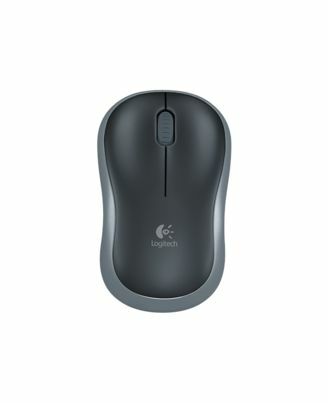 Logitech reliability You get the high quality and reliability that have made Logitech the global leader for miceplus a three-year limited hardware warranty. 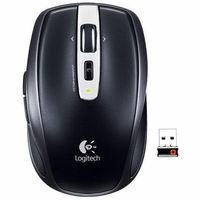 Logitech Advanced 2.4 GHz wireless connectivity You get the reliability of a cord with wireless convenience and freedomfast data transmission and virtually no delays or dropouts. Plug-and-play simplicity No software, no hasslesyou simply plug in the tiny nano receiver and start using your mouse right away. Comfy, contoured shape The contoured design feels good in either hand and offers more comfort than a touchpad. Perfect for laptops and netbooks Your mouse works with Windows, Mac and Linux. No matter what type of computer you own todayor buy tomorrowyou can depend on your mouse to work like you expect.